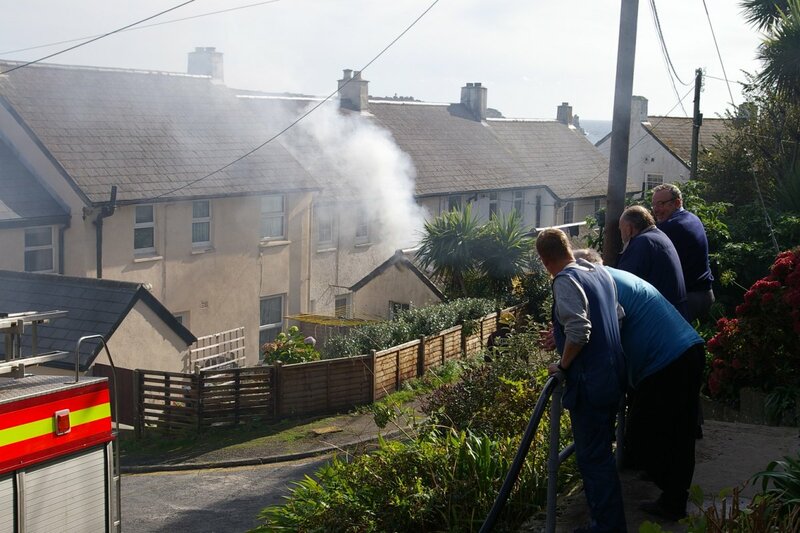 Today, 18th October 2005 at 13:00 the St. Mary's Fire Brigade was called out to attend a fire which had broken out in one of the sheds in Sally Port. 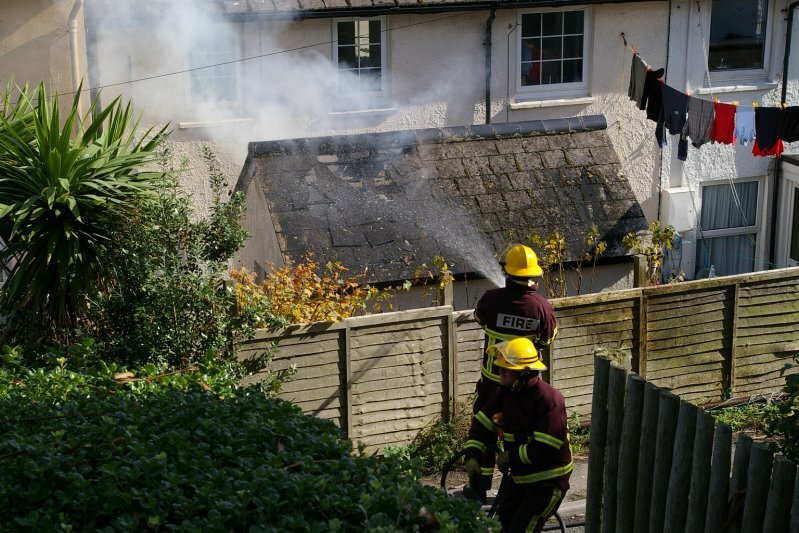 Although there was a hose trailing down into the garden in order to tackle the fire head on, the fireman in the picture can be seen damping down the asbestos tiles which had started to explode in the heat. 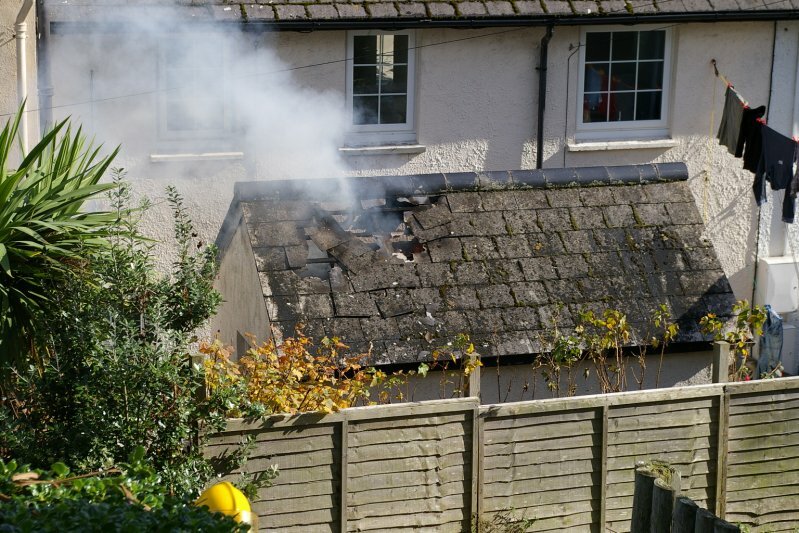 No lives were in danger but several tins of paint were destroyed and around a dozen tiles were lost. 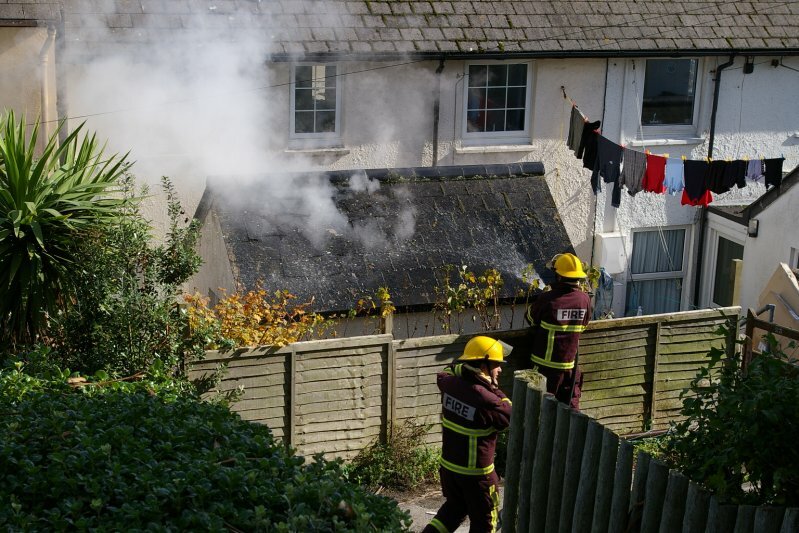 The washing, which had nearly dried was soaked again and damage is said to run into the tens of pounds. photos and article by GRL your 'on the spot reporter'.